There is a spiritual connection between Matthias Pintscher and Pierre Boulez. As composers, both write edgy, compelling and orchestrally stunning works. As conductors both are notable interpreters of the music of the 19th through 21st centuries. Additionally, Pintscher is the newly appointed music director of the Ensemble Intercontemporain which Boulez founded in 1976. The 42-year-old German is without question one of Boulez’s musical and intellectual successors. 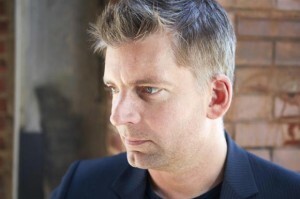 Pintscher makes his Utah Symphony debut this weekend. At Friday’s performance he managed to raise the bar for what one now can expect from the orchestra. He conducting style is fresh, vibrant and bold. He had a commanding presence onstage and that was reflected in his interpretations as well. He is a conductor one would like to see return to Abravanel Hall. The concert opened with Pintscher’s own towards Osiris, a study for his much larger later work Osiris, which was premiered six years ago with the Chicago Symphony under Boulez. The atonal towards Osiris is filled with frenetic energy. It’s a brilliantly orchestrated piece, and in its colorful writing one can easily discern the influence of Boulez, one of today’s most adept orchestrators. The large ensemble calls for an expanded percussion section which complements and punctuates the music that is played by the other sections. Each instrumental group played with crisp articulation and Pintscher’s lucid direction brought a wonderful cohesiveness to his account. This vibrancy was also evident in the closing work, Dvorak’s Symphony No. 8 in G major. Pintscher captured the full range of emotions and expressions in this symphony with his intelligent, well thought out perusal. His tempos were well chosen, allowing the music to speak for itself. He elicited nuanced playing from his ensemble, and they in turn played with clean articulation. It was a romantically charged, driven yet amazingly subtle performance that did justice to the music. The overall high level of artistry on display this weekend is marred by guest pianist Inon Barnatan’s playing of Beethoven’s Fourth Piano Concerto. While there were a few moments of lyrical beauty in his playing Friday, notably in the slow movement, Barnatan’s approach to the work as a whole wasn’t very musical. His playing was choppy and at times rather sloppy; in the forte passages he played with a ferocity that made it feel as though he was mad at the music. There was no cohesiveness to his account. And even though the orchestra played with finely crafted balance, it wasn’t enough to save this performance.